The city of lights is undoubtedly one of the world's most loved tourist destinations. But it's not all romance and sparkle. Picturesque Paris has a dark side. It may come as a surprise, but beneath some of the city's largest attractions lies a maze of ghoulish tunnels. And these 200 miles of tunnels are not empty. In fact they are lined from floor to ceiling with the remains of more than six million people. 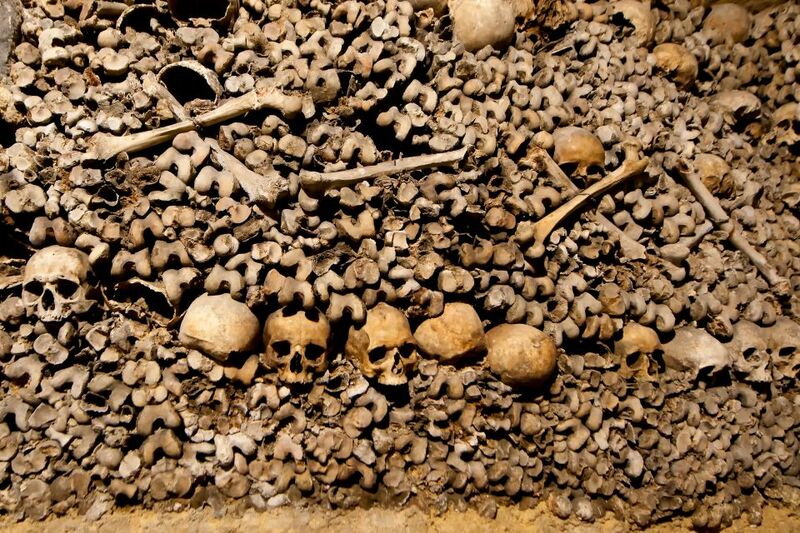 Today it's a creepy display of bones and skulls, but in the 17th century these remnants were placed here as a solution to the overcrowded nature of Parisian cemeteries. Although the city stopped moving corpses here in 1860, tourists today are free to stroll through this gory labyrinth. 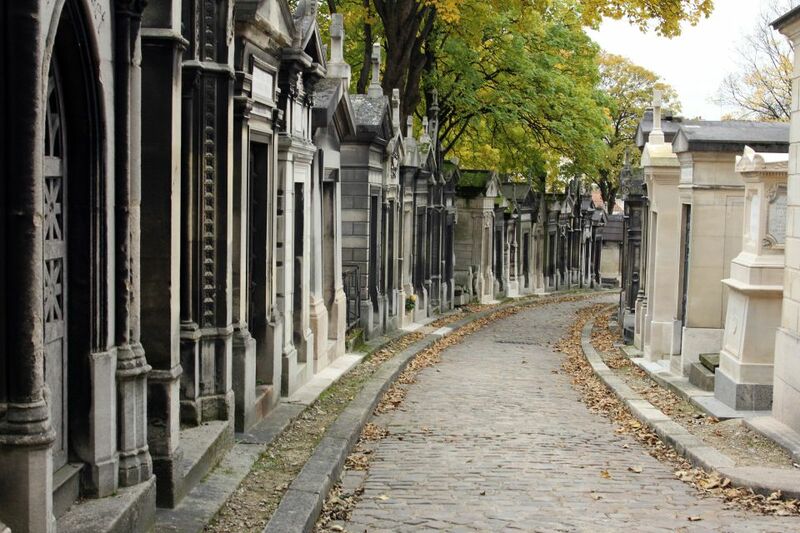 As Paris' largest cemetery, Père Lachaise attracts more than 3.5 million visitors each year eager to catch a glimpse of famous graves including those of Edith Piaf and Oscar Wilde. But for many tourists it's not the ornate memorials of the world's favorite celebrities that interest them, but also those dedicated to the victims of World War II concentration camps. These sites are particularly graphic, especially the memorial to the victims of Buchenwald, which consists of a statue of two skeleton-like figures supporting a third dying inmate. Other concentration camp memorials include sets of footprints symbolizing the marches inmates made to their deaths. So, besides the aesthetic appeal of this Gothic cemetery, there's something darker and even more sobering than your average graveyard about this sight. Not many events are darker than a mass genocide, making this modern memorial museum of the Holocaust a place to explore the darker side of Paris. 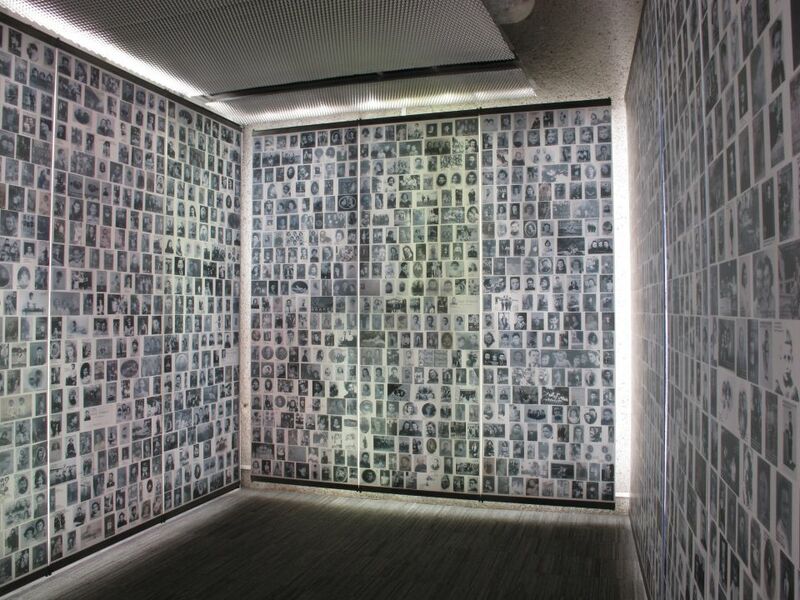 Found at the heart of the City of Lights is one of the most extensive documentations of the Holocaust, including its courtyard's walls which display a list of the names of 76,000 victims, of which 11,000 were children. Once inside, visitors can view the original file cards of these victims, called "fichier juif." But the darkest part of this museum is without a doubt the detailed plan of the camp of Auchwitz-Birkenau where over 1,000,000 Jews, Romani people, prisoners of war and alleged political dissidents were murdered. Yes, tourists flock en masse to the nearby Notre Dame and Sainte-Chapelle, but many miss Île de la Cité's lesser-known and more sobering attraction. 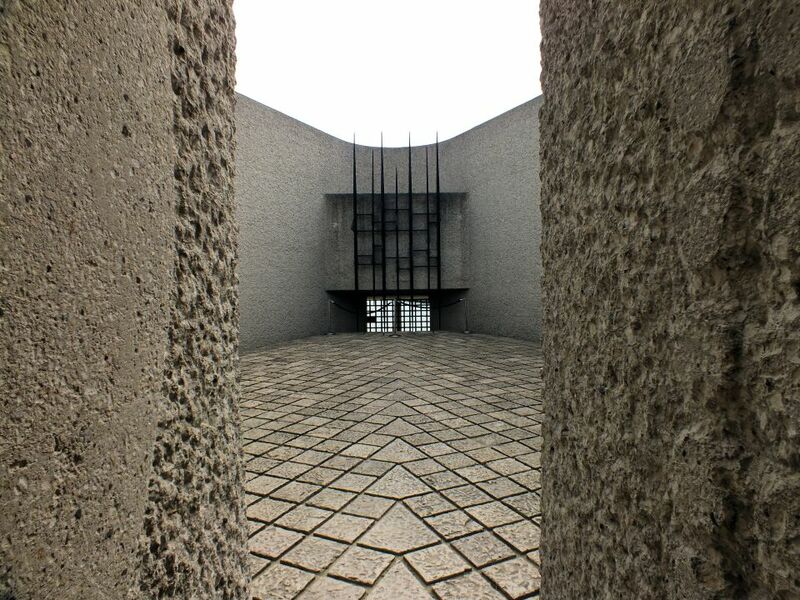 This Deportation Memorial remembers the 200,000 French citizens who were killed in Nazi concentration camps. The building, inaugurated in April 1962 by President de Gaulle, was once a morgue, but its stark high walls and metal bars have since been used to give visitors a taste of how it may feel to be imprisoned. Visitors are asked to slowly and silently walk through a dark and eerie corridor that is faintly lit by 200,000 sparkling crystals, one for each victim. If an experience like this doesn't move visitors looking for the darker side of Paris, we don't know what will. It seems that iconic landmarks and culture are no longer enough for many world travelers. Instead, tourists have set themselves the mission of seeking out the globe's most morbid sites. Whether it be exploring the aftermath of atomic bombings or guided tours of former concentration camps, for better or for worse travel's newest trend is dark tourism. And it turns out that Paris has enough moving and macabre sights to fit this definition.